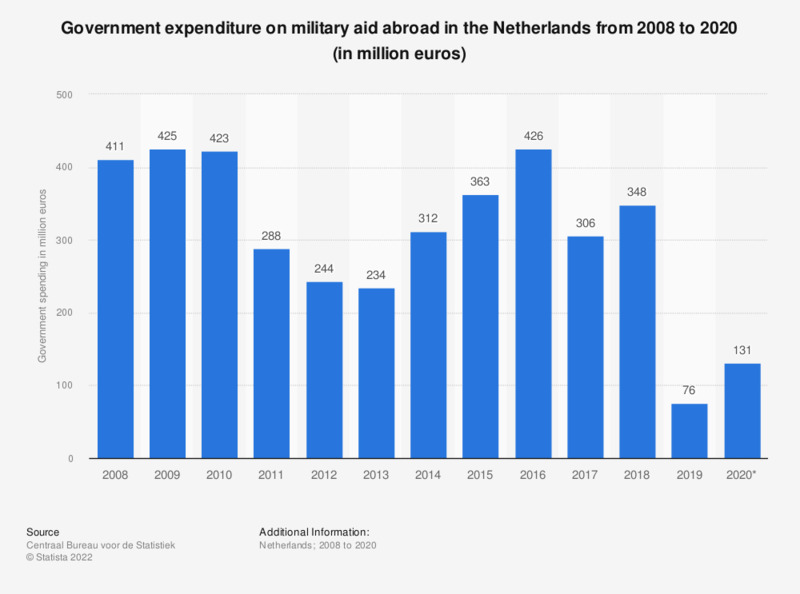 This statistic displays the government expenditure on military aid abroad in the Netherlands from 2007 to 2017 (in million euros). It shows that in 2017, approximately 300 million euros was spent on military aid abroad. Military aid abroad consists of grants, loans and putting material at the disposal for use abroad. Costs for international peace missions include the costs of staff and weapons. * The figure for 2017 is provisional. Everything On "Security sector in the Netherlands" in One Document: Edited and Divided into Handy Chapters. Including Detailed References.